​I've decided to dedicate a tribute page for legendary Sunil Santha. There is not many musicians in Sri Lanka comes close to Sunil Santha. His talent span across many areas of the industry. He is a prominent music director, song writer and an amazing singer. After leaving school, he trained as a teacher and began his teaching career at the Mt. Calvary School in Galle. In 1939, he resigned from his teaching post to study vocal music at Shanthiniketan, the art school founded by Rabindranath Tagore. From 1940 to 1944 he studied North Indian classical raga music at the Bhatkande College of Music in Lucknow, achieving top marks in both sitar and vocal performance. When Sunil returned to Sri Lanka in late 1944, he embarked on a new direction for his music. From scratch, he created a new song idiom that a local person could identify as belonging to this country. 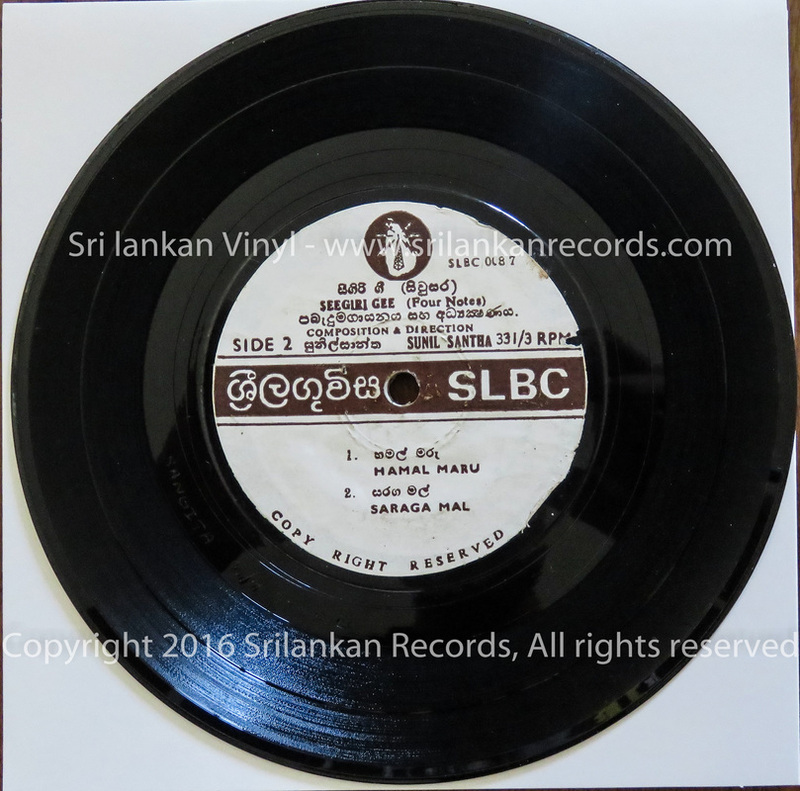 Sunil began his recording career at Radio Ceylon in 1946 when he recorded ‘Olu Pipila’. No song had ever sounded like it. 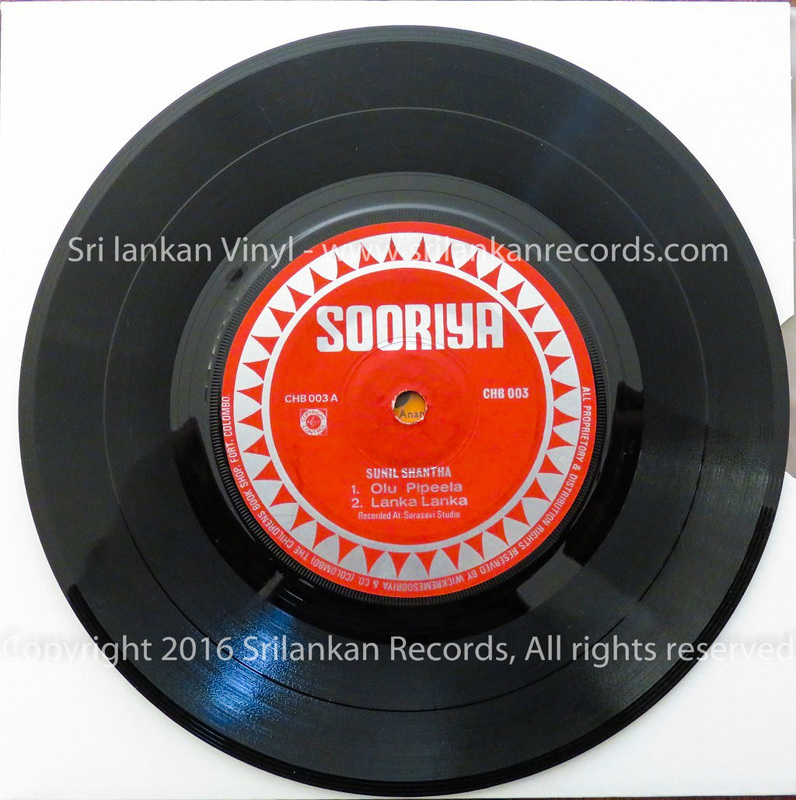 The song unleashed a new vigour and direction for Sinhala music and remains a pivotal moment in the history of twentieth-century music in this country. Over the next six years, Sunil composed and recorded over 100 songs for Radio Ceylon. He formed his own ten-piece orchestra consisting of musicians such as Pandit W. D. Amaradeva, Percy Wijewardane, Joe Costa, Mrs. Costa, Sarathsena, and Rajah Dahanayake. His orchestra included violins, bamboo flutes, guitar, Hawaiian guitar, cello and Oriental percussion instruments, carefully selected and orchestrated to achieve the right weight and balance for his voice. One of his masterpiece song ‘Gum Gum Gum’ is about the movement of bumble bees – and one of his best experimental songs – Sunil composed the entire melody of the song on one note, but the tune is so well-composed that listeners are not aware of it. The song sounds melodious and it is a testimony to his great ingenuity and craftsmanship as a composer. ​Sunil is a proud individual who stood by his belief's. 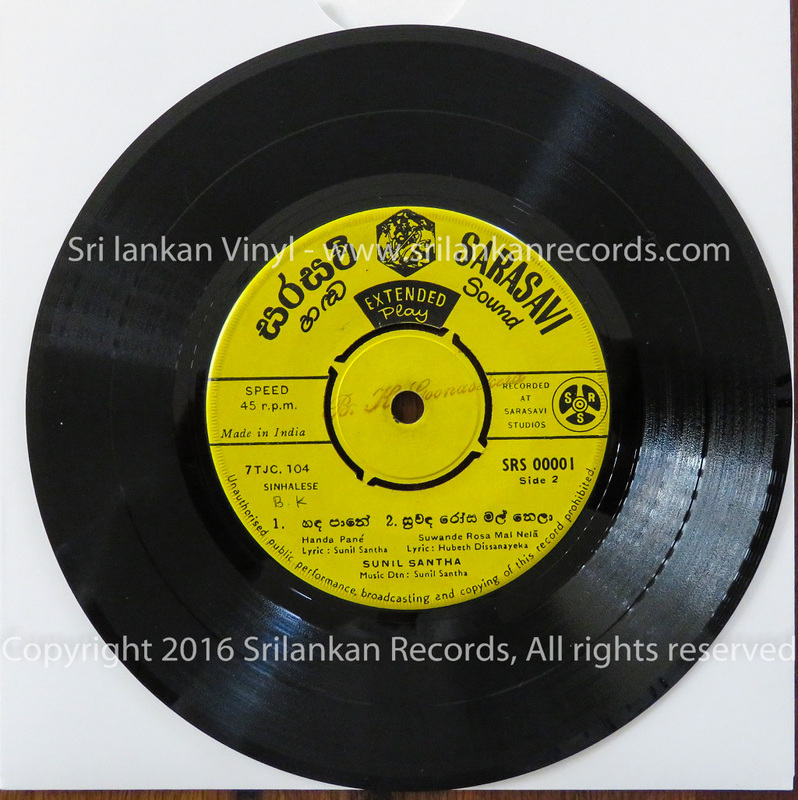 Sunil’s services as a Radio Ceylon recording artist were terminated in 1952 after he refused to audition on the grounds that Hindustani music standards were being imposed on Sinhala recording artists. From 1952 to 1967, Sunil was largely absent from the Sri Lankan music world. During these years. He also against the music commercialization, due to this reason he only have couple of EP's from Sarasavi label and the same EP's repressed under Sooriya Label. 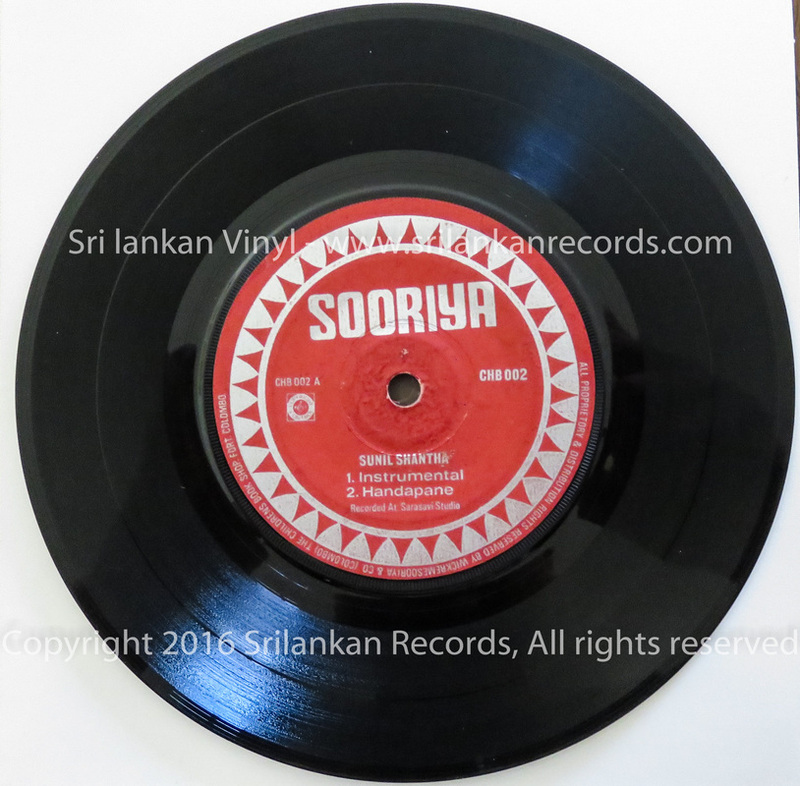 Also his one and only LP released under SLBC label, in addition to this SLBC released Seegiri kurutu gee EP under his name. These EP's & LP of Sunil Santha are Extremely rare and highly valuable. ​One hundred years after his birth, Sunil Santha is a national treasure. His songs live on seventy years after they were first broadcast on Radio Ceylon. There are few composers and recording artists who can claim to hold such a huge and enduring legacy. For this reason he ranks, rightly so, with the best of the world’s great composers of popular songs. Sunil Santha was born in 1915 April 14 and died 1981 April 11 at the age of 65. 1980 Seegiril Gee EP was produced under SLBC label. This contained a set of songs written and composed by Sunil with melodies using only four notes. The lyrics were based on Sigiri Kurutu Gee (sigiri graffiti). The songs are remarkable in that they used traditional Sri Lankan drums and other instruments to create a unique sound. This is the most valuable EP/LP of Sunil Santha. Only Sunila shantha LP was released in 1977. Most of the songs were taken out from spool tapes and gramophone records belong to SLBC archive.